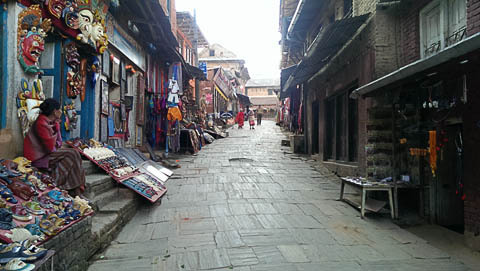 Carfree.com has relocated to Bhaktapur, Nepal, an ancient and nearly carfree city 13 kilometers east of Kathmandu. It is arranged in many ways just as the Reference Design for Carfree Cities proposes, except that it is a small enough city not to require public transport for internal circulation. We have informally established the carfree institute here, and the first assistants have already begun their study and work. Infrastructure issues had delayed our start. We are working on using social media to market the carfree concept, making more videos, and developing plans for small carfree cities and towns. Completed projects will be discussed here. The Carfree page on Facebook has been online for about a year now. We post a link to an interesting article every day or two. Drop by some time and Like us. The folks at Happy Streets recently published an interview - Carfree: interview with J.H. Crawford. If you watch a video, please Like it by clicking the Heart icon in the top-right of the video frame (Vimeo) or clicking the Thumbs Up icon below the video (YouTube). Posting to Twitter and Facebook will also help if you can. We need to get the message out to a broader audience. I know this is a bit of a nuisance, but it really does make a difference. We are also working here at Carfree.com to promote the videos. Carfree.com supports World Carfree Network (WCN), which unfortunately is currently dormant due to lack of funding. 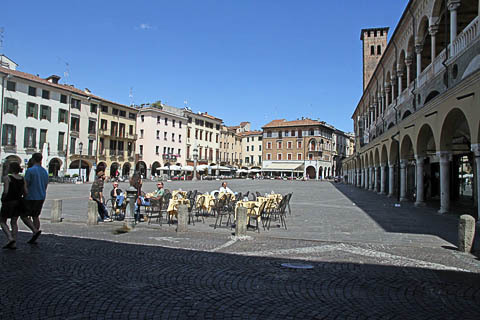 The degrowth movement has some of its roots in the early Towards Carfree Cities (TCFC) conferences organized by what later became World Carfree Network. The Fourth International Degrowth Conference will be held in Leipzig, Germany, 2-6 September 2014. It had been some time since I had breathing problems, although it had once been routine enough. This is, after all, Kathmandu - who doesn't have breathing problems here? Not even the prime minister is spared. But my chest pain and breathing had again become noticeably troubling. Coupled with a recent article and several reports that Kathmandu's air pollution is breaking all-time records, I began to wonder to what degree we have accepted this situation and have become accustomed to the deadly dust that surrounds us all the time. In fact, the situation has become so ordinary that I had to search for international reports and the results of pollution monitoring stations to once again become aware of the dust around me. I lead an active life, which includes bicycling to fight pollution and the health hazards it causes. For this reason, I am probably more exposed to this danger than most people. But which city isn't? In fact, cities by their nature are prone to air pollution. The bigger the city grows, the more it tends to generate pollution. And almost all the world's cities seem headed towards the same fate as Kathmandu. I wondered how long it would take for Kathmandu to again become a livable city, especially when there is as yet so little desire among its residents to fix the problems. I asked myself to find the main cause of this situation, and I realized that I was the chief pollutant. People like me, who are drawn to Kathmandu from rural villages, are increasing in numbers year by year. I then asked myself what made me and people like me come to Kathmandu. Finally, I realized that I need to leave Kathmandu as soon as possible, just to save myself. But then I had to ask if there is any city in Nepal that is better than Kathmandu. I wondered which one would top the list for livability, and one small city not far from where I live topped my list: Bhaktapur. It is so close to a world that is cloaked in dust, with people living in an endless rush-hour. It has somehow preserved itself as it was a hundred years ago. 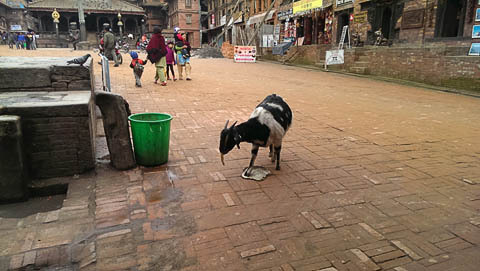 So, Bhaktapur should be the place, my final attempt before giving up and going back home to Dharan, in eastern Nepal. When I talk about livable and people-friendly towns, where children can move about freely and safely, I always think of some European cities that have adopted the carfree concept, but for some reason Bhaktapur never came to my mind. 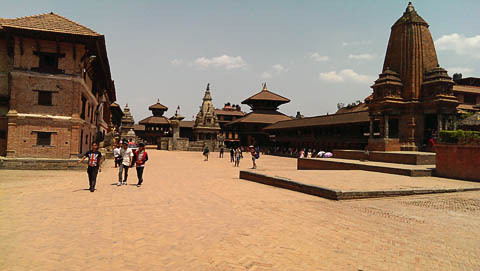 But Bhaktapur is an exemplary city, not just among other cities of Nepal but all of Asia. It is highly sustainable and people friendly. 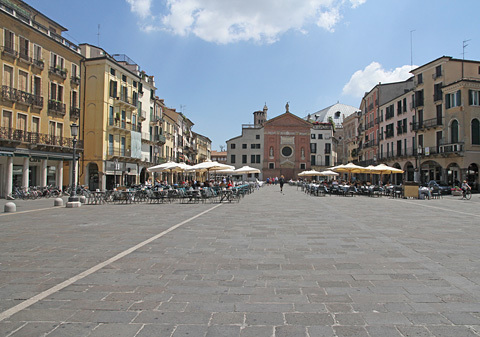 As a matter of fact, it has already been listed among the world's carefree cities. With traditional houses and a less extravagant, more sustainable way of life, it protected itself from the uncontrolled influences that swept through Kathmandu and Patan (a large city just south of Kathmandu that has retained much of its original neighborhood structure). In fact, we should conduct a comparative livability survey of all the toles (neighborhoods) of Kathmandu and other cities across Nepal. We can use the knowledge from this survey to recognize and promote healthier practices in urban planning and identify good initiatives taking place, such as in access to health care, public transport, and clean air. But when we talk about the livability of Bhaktapur, what might come to mind is the superhighway built between it and the heart of Kathmandu, which has already killed innocent people who never wanted this highway to cut through their neighborhood in the first place. Superhighways should never have disturbed the city; they should have passed another way, without destroying the markets, the local economy, and the community itself that had existed for years. Did the community want the highway? And is it even important to ask whether the community wanted it or not? Was any survey done by the government regarding the community's views and suggestions before such a major decision was made, or was the decision made in private? And what about the impacts of air pollution caused by the road construction itself? That had as victims the children and infants of the community. Infants who are born in and will grow up in the highly polluted air caused by road construction will suffer serious respiratory problems, assuming they are not killed by collisions on the highway, which take the lives of many young and old people. Does the government realize its responsibility to compensate those patients and victims whose harm still lies in the future? Kathmandu will build its first superhighway junction soon. How many people were consulted before this decision was made, and how many studies and how much research have they conducted? Does the state think it is not the business of citizens? Are the people in these communities willing to have this junction built in their neighborhood, or are they simply being forced to accept it? A survey should be conducted by either the government or by the civil society to determine local sentiment. Could it be that these highways and the outer ring road are being forced upon Kathmandu by the commercial and transport interests that find the present road system inadequate for their needs? Environmental NGOs, INGOs, and human rights organizations have a vital role to play. Sadly, most of their decision-makers ride in private 4WDs that are themselves competing for scarce Kathmandu road space and fouling the air with their exhaust. If these highways get built, will air pollution during and after construction be monitored? Will they compensate for the loss of health and community in nearby areas? Will there be measures taken to make sure no one dies in an accident, or will the government again wait for people to die and only then will the lessons be learned? Kathmandu will become even less livable than it already is, and perhaps never again return to the high quality of life it enjoyed 50 years ago. It would not be hard to guess how tourists who come to escape from their everyday lives will react to Kathmandu loosing its essence. But if the choices are made in favor of massive road construction, and if Kathmandu becomes completely unlivable, then gradually many residents of Kathmandu will return to their ancestral homes, just as I am tempted to do. But what about those people whose hometown is Kathmandu itself? They should be more concerned about their village than rest of us for whom this city is only a place to work or a junction to pass through. Despite all the conditions we face every day, Kathmandu is still claimed to be the best city in Nepal, and it is that belief that brings people here, to the city of dreams. 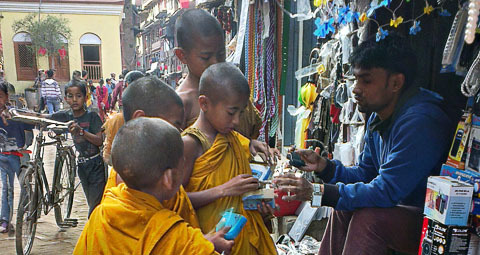 With high hopes, people come to Kathmandu from all over Nepal, only to meet with tragedy. With their dreams crushed, they fly abroad to work, dimming the hopes of the entire nation. Education and the media play a role in creating this view among us. It is easy to wonder why all the national media are situated in Kathmandu and how it is that whatever happens in Kathmandu is portrayed as what is happening in Nepal. 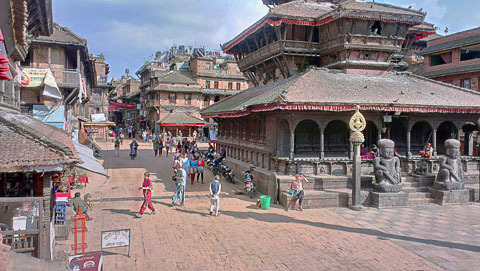 Kathmandu, as the capital city, is portrayed as the city of dreams. It has instead become the city of broken dreams for many of those who come here, and this plays a large role in the brain drain this nation suffers from today. How is it that the government managed to plan ten-lane roads and an outer ring road, said to be essential for the future, but cannot plan to replace simple but aging rural suspension bridges and jeep tracks in areas where people are dying for the lack of transport? Lack of infrastructures forces us all to Kathmandu. Rather than planning for more people to move here, the government should have planned to build facilities in rural areas to allow people to remain in their home villages. But the government rarely builds universities and hospitals in the places where they are required. Instead, it expects, for years into the future, that people will migrate to Kathmandu. Those politicians who represent the poor and marginalized do still talk at election time about the rights of their constituents. If environmental organizations and activists really understand the consequences of breathing polluted air, why do all of them have to locate their offices in the core of the city? With Kathmandu being near the top of the list of the most polluted cities of Asia, these organizations should move out of the city, if only to protect the health of their staff. Bhaktapur should be promoted, and all cities can learn from it. 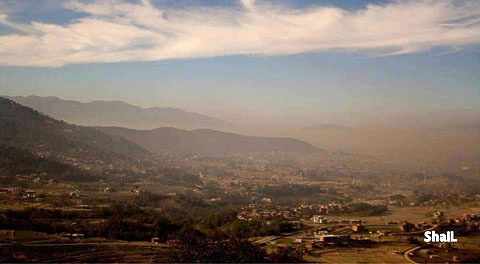 Environmental organizations should shift their operations to Bhaktapur, if only to appreciate and understand its sustainable patterns of living and to understand how it works and what lessons can be learned from it. Villagers of Kathmandu who are losing their precious and limited resources to this mob (job seekers, American dreamers obsessed with "progress," bureaucrats, and politicians) will be the last people standing with nowhere else to go if long-predicted disaster strikes some day. The bureaucrats, too, should leave the city and shift the capital in order to ensure that decentralization happens and that every city gets its share of facility and infrastructure development. My best wishes to people who will be migrating to Kathmandu with hopes and dreams. I also offer my sincere concern to the villagers of Kathmandu. I wish they would stop and look at things before they lose it all forever. As Dr. Samlee Plianbangchang, Southeast Asia Regional Director of the World Health Organization mentioned in his message on this year's World Health Day, health is not only the responsibility of the health sector. It requires tangible and sustained actions from beyond that sector. I hope we recognize health as an issue beyond the level of individuals. As we plan for a new and better Nepal, we must consider not only the availability of hospitals but also the health of our cities, towns, and villages. distance education at IGNOU (Indira Gandi National Open University, India). Thanks to Richard Risemberg, Debra Efroymson, Piper Hollier, and Doug Salzmann for suggesting articles. Thanks also to Piper Hollier for proofreading. In eastern Los Angeles County, the I-710/SR-710 freeway looms over neighborhoods, walling neighbor from neighbor, poisoning children, and miring residents in endless congestion. Its raison d'etre has always been truck traffic from the ports of Long Beach and Los Angeles. But are there other ways to move freight through LA? Now a major article by environmental reporter Justin Gerdes and documentarian Leila Dee Dougan, produced and edited by Richard Risemberg, explores the history of the freeway, the devastation it wreaks on the region's health and happiness, and the renewed vitality of a six-decade battle against making it even bigger, busier, and deadlier. Neighborhoods rich and poor, city administrators, and massive agencies wrestle with a legacy of failure and deceptive dealings, while glimmers of a brighter future struggle into the light as residents and entrepreneurs alike strive to bring new ideas to a reluctant bureaucracy. In a changing America, can we build a healthy and prosperous future for all the region - a future beyond freeways? J. H. Crawford responded to a late draft of this article: "It's time to move beyond the internal-combustion engine. Even though modern diesel and gasoline engines are far cleaner than old ones, their contribution to air pollution remains significant, and their output of carbon dioxide makes them obsolete. Future transport systems must be powered by electricity, and the logical way to achieve this is with rail-based systems, which are already far more energy-efficient than trucks can ever become. If the I-710 project is built around rail transport for freight, then there will also be space and money available to build badly needed passenger rail service along the corridor." "In the Pedways of Los Angeles Past, a Vision of a Pedestrian-Friendly Future"
"Charles Montgomery's Happy City: Transforming Our Lives Through Urban Design"
"Spooky cities: the world's strangest underground cities - in pictures"
"The golden opportunity our cities are missing"
"Nationwide 'Epidemic' Of Pedestrian Deaths a Failure of Social Justice: Report"
"New NHTSA Study Shows Motor Vehicle Crashes Have $871 Billion Economic and Societal Impact on U.S. Citizens"
"11 Simple Ways to Speed Up Your City’s Buses"
"Can Kathmandu kick the motorbike habit and become cycle-friendly?" "US shale boom is over, energy revolution needed to avert blackouts"
"The Gross Society: We’re Entering an Age of Energy Impoverishment"
"It's Final - Corn Ethanol Is Of No Use"
"Study: Fracking Emissions Up To 1000x Higher Than EPA Estimates"
"Autism, Schizophrenia Linked to Exposure to Air Pollution in Early Life"
"2 Charts That Put the Chinese Pollution Crisis in Perspective"
"India admits Delhi matches Beijing for air pollution threatening public health"
"Beyond Obama's Plan: A New Economic Vision for Addressing Climate Change"
"The Turning Point: New Hope for the Climate"
"IPCC Findings: Create 'Age of Renewables'. . . Or Pay Higher Price Later"
"Uncontrollable ice-melt? Uncorking East Antarctica could yield unstoppable sea-level rise, simulations show"
"Underground fossil soils are rich in carbon, may account for global warming"
The next issue of Carfree Times is scheduled for September 2014.